SS2, Hof-Finnskog 1, kicked things off and Ott Tänak kept on flying, fastest again, just as in the SSS last night. A little more than six seconds ahead of Andreas Mikkelsen and Mads Østberg. In WRC2, Rally Sweden rookie Takamoto Katsuta surprised everyone with the fastest time ahead of Ole Christian Veiby and Kevin Abbring. On SS 3, Svullrya 1, Thierry Neuville finally seemd to have shaken of his own demons from last year as he aced the competition with the fastest time. Jarmo Huttinen and Takamoto(again) fastest in WRC2. Oh, and Ole Christian Veiby broke the record on his “own”, Veiby’s Crest. The official new record measures a whopping 48 meters. 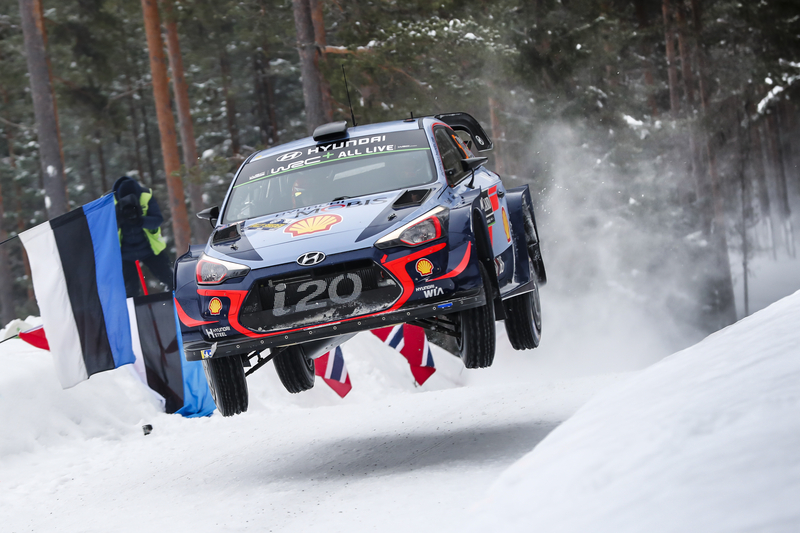 Mikkelsen fought back on SS4, Röjden 1, taking the fastest time before Neuville and Østberg before Hayden Paddon went full on and grabbed the fastest time on the second run of Hof-Finnskog. In WRC2, Katsuta proved to be for real when he came in fastest for the second time today. Craig Breen came flying out of the grid on both SS6, Svullrya 2, and SS7, Röjden 2, grabbing a double stage win. Veiby fastest in WRC2 on SS7, creating a really close race with Takamoto and Tidemand. SS8, Torsby 8, closed a thrilling Day 2. Paddon took the stage win, ahead of Neuville and Mikkelsen. giving us an overall standings with the same trio in the top; Neuville first, followed by Mikkelsen, 4.9 seconds behind, and Paddon, another 7.2 off. In WRC2, Katsuma lost some time on the closing stage while still holding on to the top spot. Tidemand is not far behind though, only four seconds behind, with Veiby in third, 7.2 behind the Japanese. JWRC is offering a close combat as well, seeing Bergkvist 6.7 seconds ahead of fellow Swede Rådström, with Torn at a total of 20.8 behind in third. 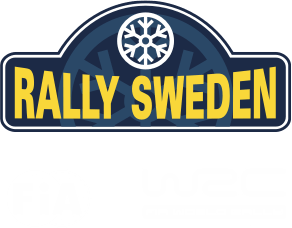 Rally Sweden Historic has run four stages during the day: SS2 Hof-Finnskog 1, SS3 Svullrya 1, SS4 Röjden 1 and SS8 Torsby 1. Just as after the first stage, Solberg is on top tonight. Rådström is second and Tomasson in third. The four final stages is on tomorrow, starting off with SS9 Torntorp 1. Will Neuville be able to hold on this time, and has he got rid of his Saturday night demons from Karlstad SSS2? Until then, enjoy this mix of Friday action and we’ll see you back tomorrow.